Our Construction Inspection and Management Team performs an array of duties, all required to meet regulations and safety requirements. Depending on the magnitude of a project, construction inspection and management teams vary in size. Regardless of the size of the project, we have the professionals to inspect/manage construction projects and material testing. Inspectors interpret contract requirements by analyzing specifications/drawings and applying a variety of testing/inspection techniques to ensure safety and completion of the project in a timely manner. 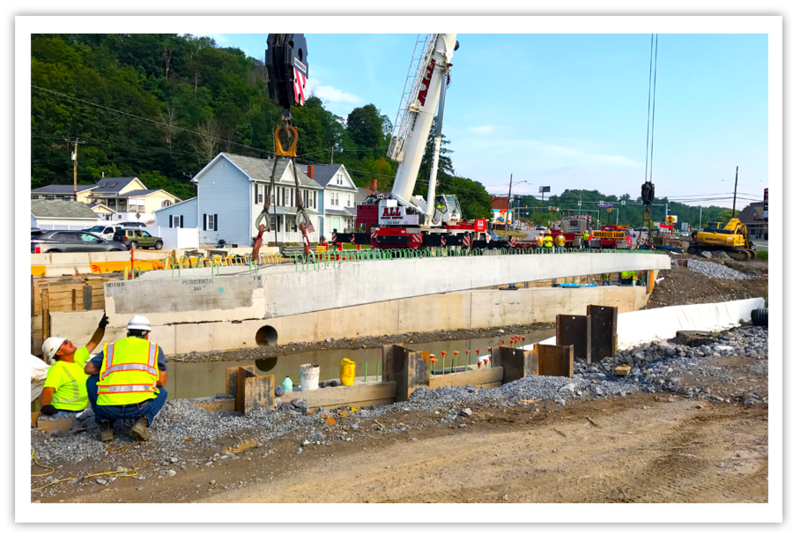 The EADS Group provided Design and Inspection Services for the Cambria County Planning Commission on the Wildwood Bridge that carries T-452 over Clearfield Creek in Cambria County. 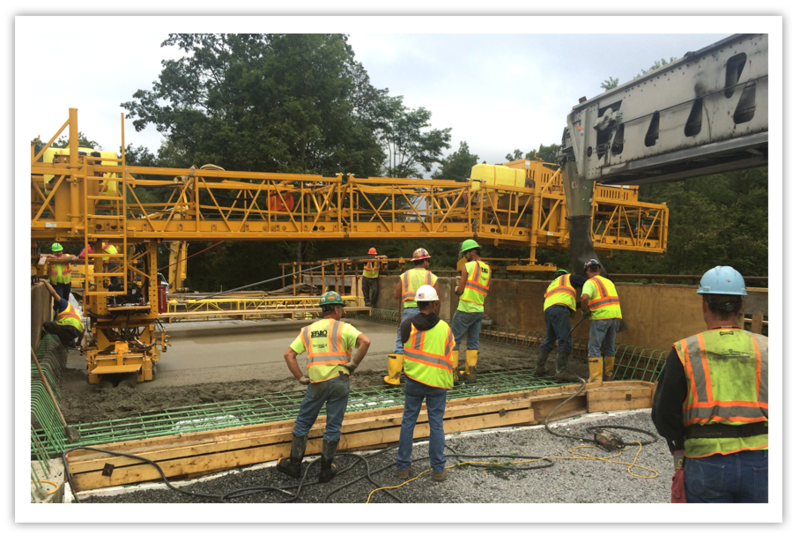 During construction, our team provided Construction Inspection and Management Services to PennDOT District 9-0 and the Cambria County. The picture shows the placement of concrete deck on the pre-stressed concrete spread box beam bridge. 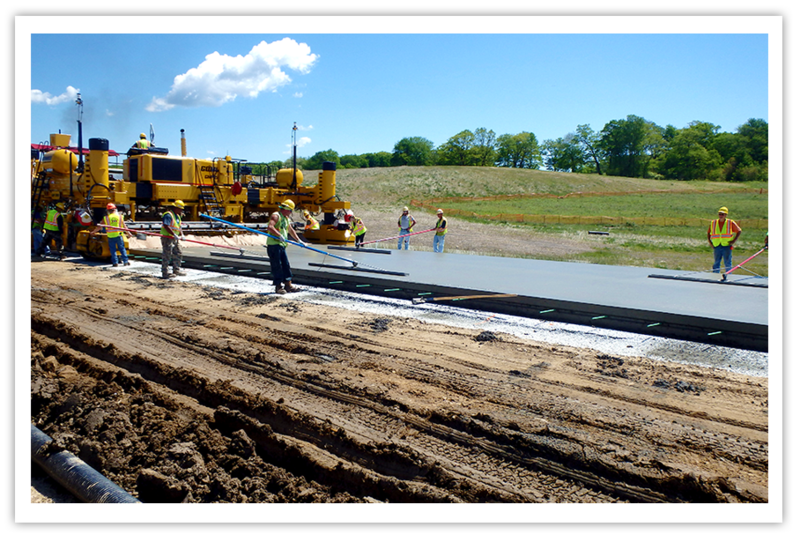 The EADS Group provided Construction Inspection and Management Services for The Pennsylvania Department of Transportation District 9-0 on the four lane limited access highway construction project for State Route 219 in Somerset County. The $300 million dollar, 11-mile long project was constructed to provide an uninterrupted four-lane roadway connecting Somerset to Meyersdale. The picture shows one of the many large bridge structures along the route.